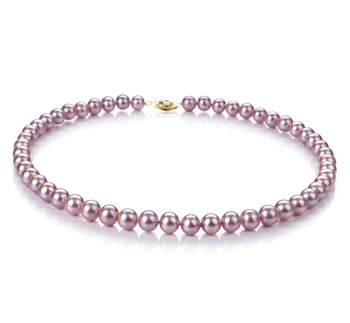 Interesting and truly unique, the MarieAnt Set combines the delicate world of pearls and beaded artwork. 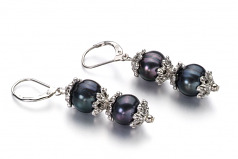 In this amazing set, the Black out of round pearls were tucked in between detailed alloy beads for a remarkable look. The simple addition of the bead work took this pearl set to a whole other level with supreme details to prove its worthiness. The AA mirror like lustre of each dyed black pearl glistens within the confines of its beaded area, the mixtures of colours is interesting and engaging. The set includes the earrings, necklace and bracelet. Pairing this set with light hues such as your whites and creams work best or breaking the set up will get you even more wardrobe uses. 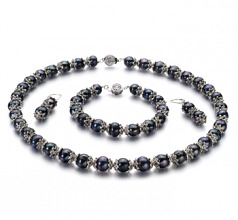 It is a unique and intricate set that requires a little planning to wear completely together. When you have it right, it is one amazing and jaw dropping match. Show only for "MarieAnt Set"